Out of the Case - Five Martin Custom Shop Guitars! If you're looking for the perfect acoustic sound look no further; today we have in Five beautifully crafted Martin Custom Shop guitars! 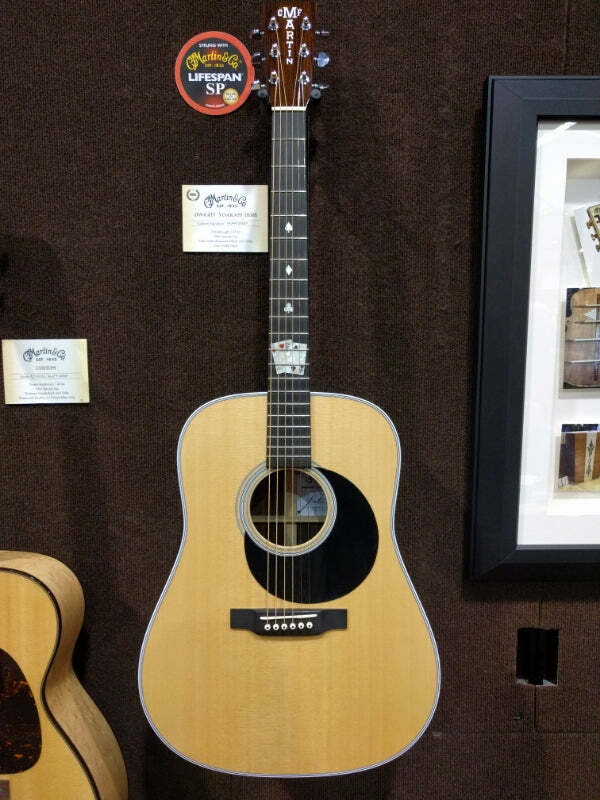 Winter NAMM 2018 Coverage: Martin has introduced the new D-45 John Mayer! Mayer is no stranger to Martin Signature models - his OMJM and 00-42SC are best sellers - so this modern phenom more than deserves this high end D-45 signature model! The D-45 John Mayer is based on the classic dreadnought body style with elevated and beautiful 45 style appointments. NAMM 2017: Martin Custom Acoustic Guitars! NAMM2017 Martin unveiled some pretty spectacular acoustics at this year’s NAMM, showcasing a number of models including a fan-favorite sports-car inspired model with some very unique appointments! Have a look at what was on display below, and as always, get in touch with us if there’s something you like!